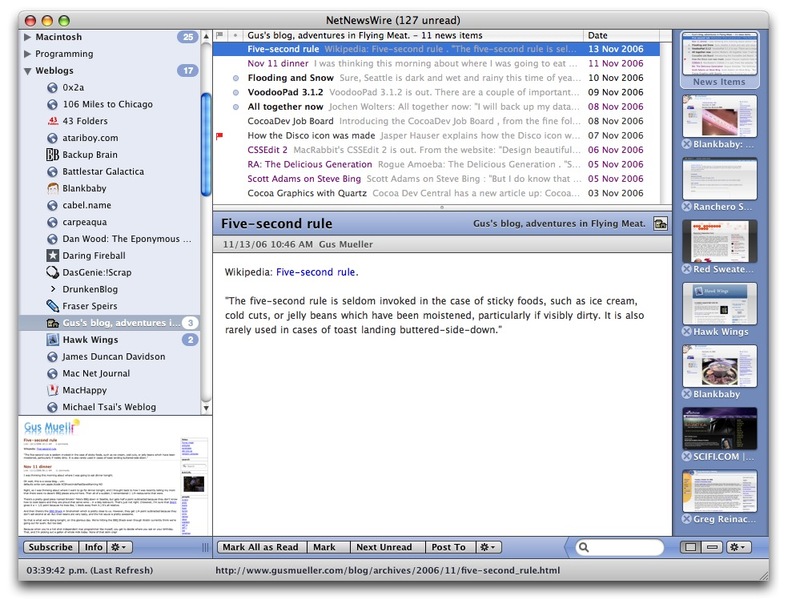 NetNewsWire 3.0 never actually looked like this screenshot. This was just some noodling around with UI very early in the development process. For some reason I was sick of toolbars at the top of the window. I have no idea why.